What is the ogre doing? Why? Why is there a glowing light over the flower? Where is it coming from? What do you think is in the pouches on the ogre’s bag strap? Why were the children in the woods? Does he know that they are watching him? Do the children want him to know that they’re there? Does this remind you of any other stories you know? Why? What’s similar and what’s different? 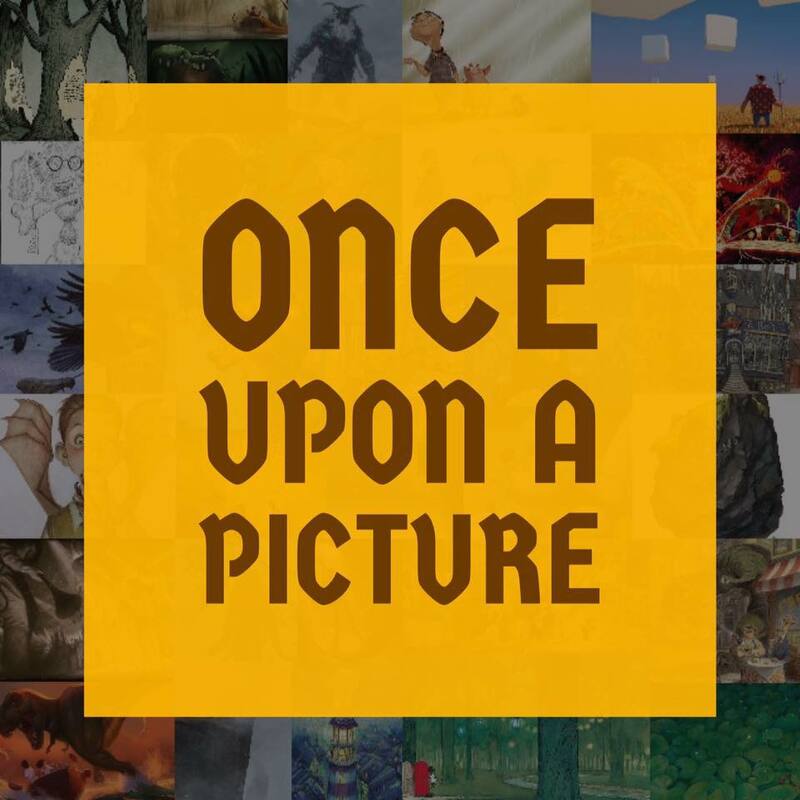 Write this story in the style of a fairytale. Who will be your main character/protagonist(s)? 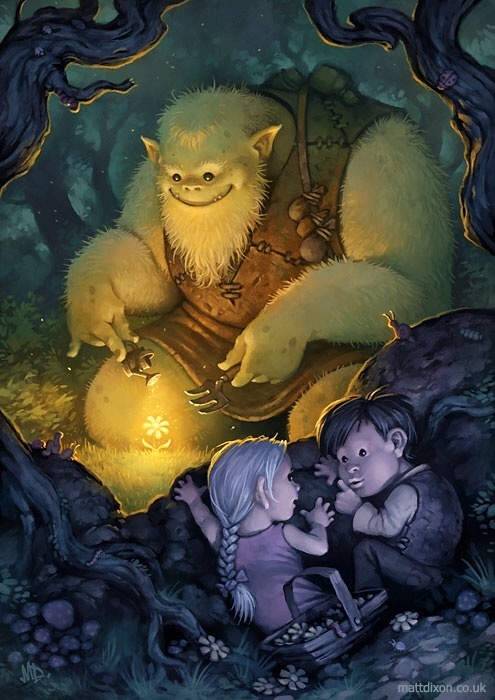 Are ogres normally good or bad characters? Find as many examples as possible before you draw any conclusions.